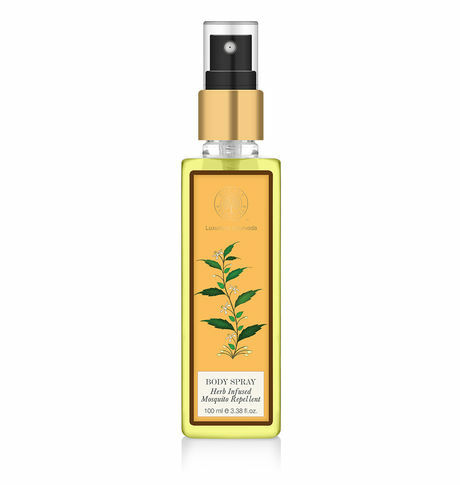 Forest Essentials Herbal Mosquito Repellent is an Ayurvedic Formulation to repel mosquitoes. Repelling mosquitoes with synthetic products may be harmful to the user in long run but Natural repellents like Vetiver, Citronella and Lemongrass present in this Repellent not only repel the mosquitoes but also invigorate your senses with their pleasant and long lasting fragrance. Active compounds of Neem also help to ward off mosquitoes of almost all species. Vetiver infusion - Vetiver is antiseptic, detoxifying and cooling.